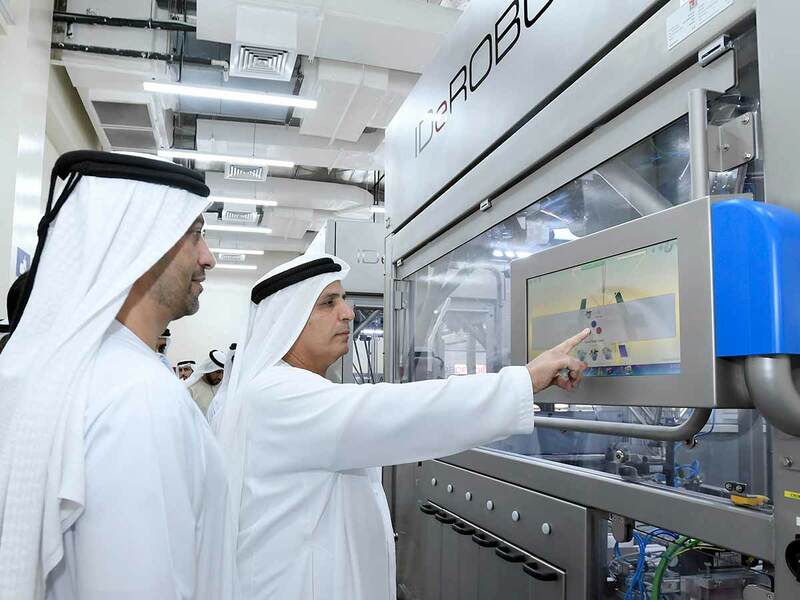 Dubai: Mattar Al Tayer, Director-General and Chairman of the Board of Executive Directors of Roads and Transport Authority (RTA) has inaugurated the first factory in the world that uses robots in the manufacturing of vehicle number plates, with a capacity of 33,000 plates per day. The factory uses the technology of the fourth industrial revolution and artificial intelligence applications in printing number plates without any human intervention. In the near future, RTA will install 10 similar machines at centres of service providers and will be controlled through RTA’s central factory. Al Tayer toured the factory, which is located at the Customers Happiness Centre in Deira. He attended a briefing about the new and unique technology used in the factory; which was designed and produced by the German company Tonnjes Middle East GMBH. In this system, the robot receives printing orders electronically through the e-Licensing System and starts printing plates without any human intervention. The system tracks the lifecycle of the number plate from manufacturing up to scrapping using the QR Code affixed to the plate. Each manufacturing unit can produce 11 thousand plates per day, i.e. 350 to 700 plates per hour maximum (one plate per 15 seconds). The machine can automatically print six different types of plates at a time.